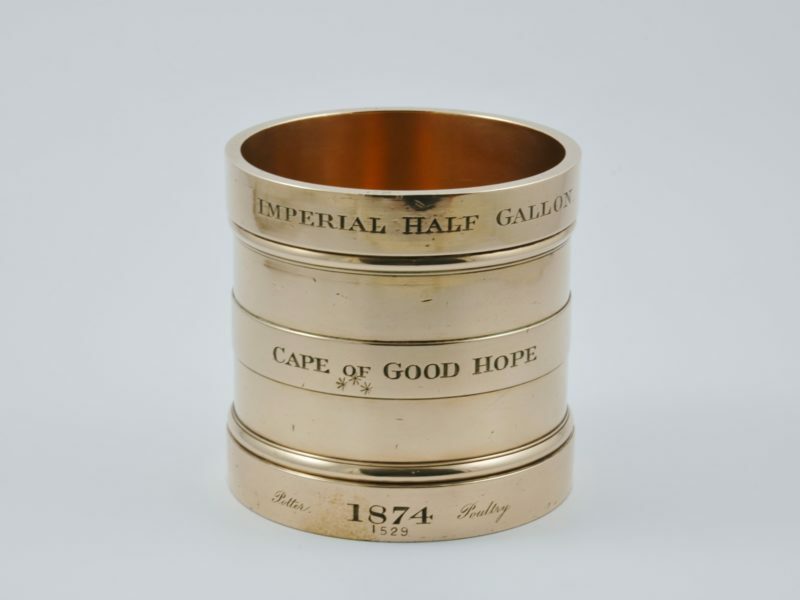 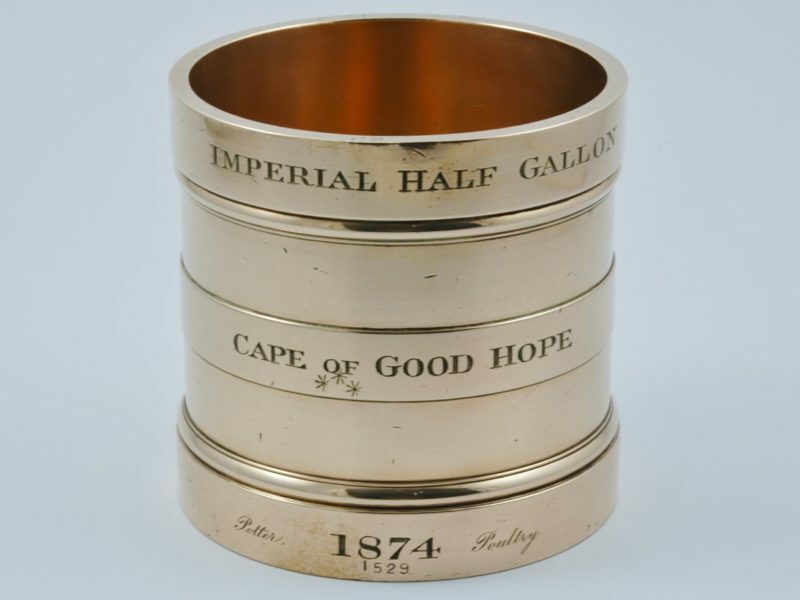 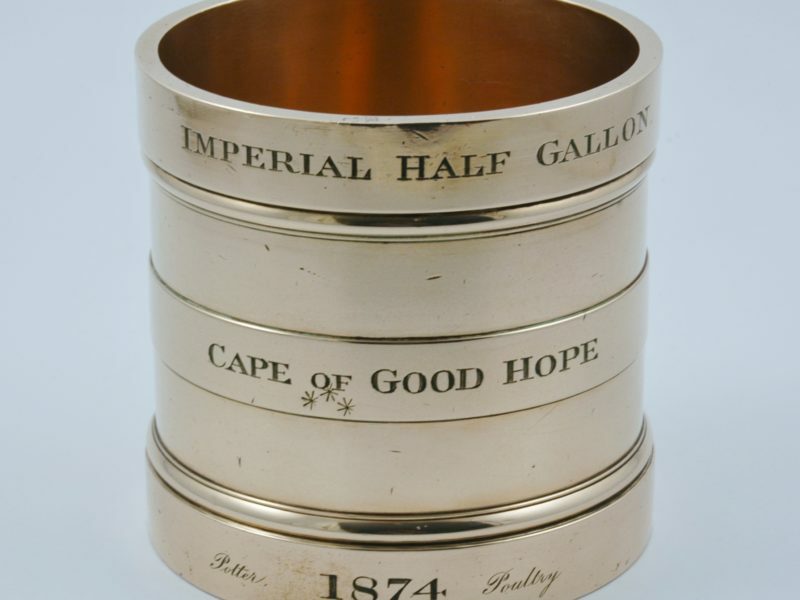 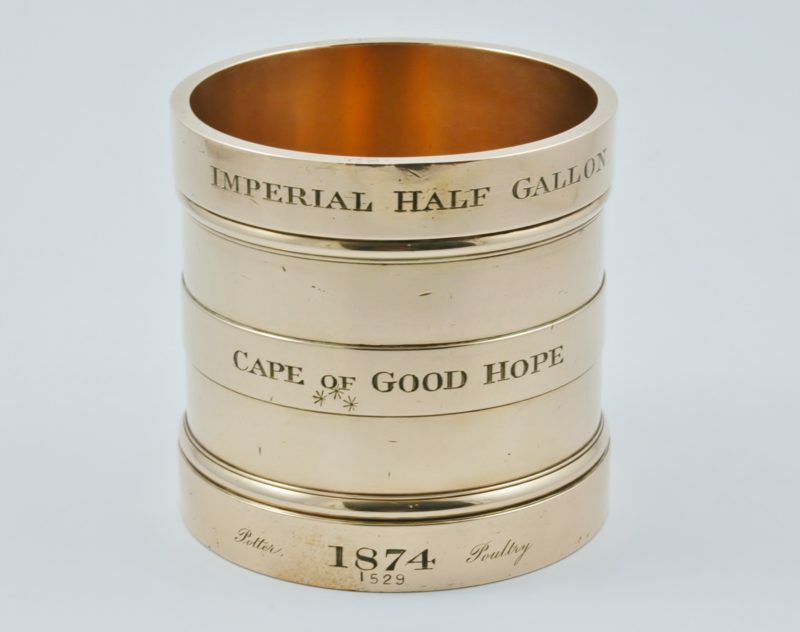 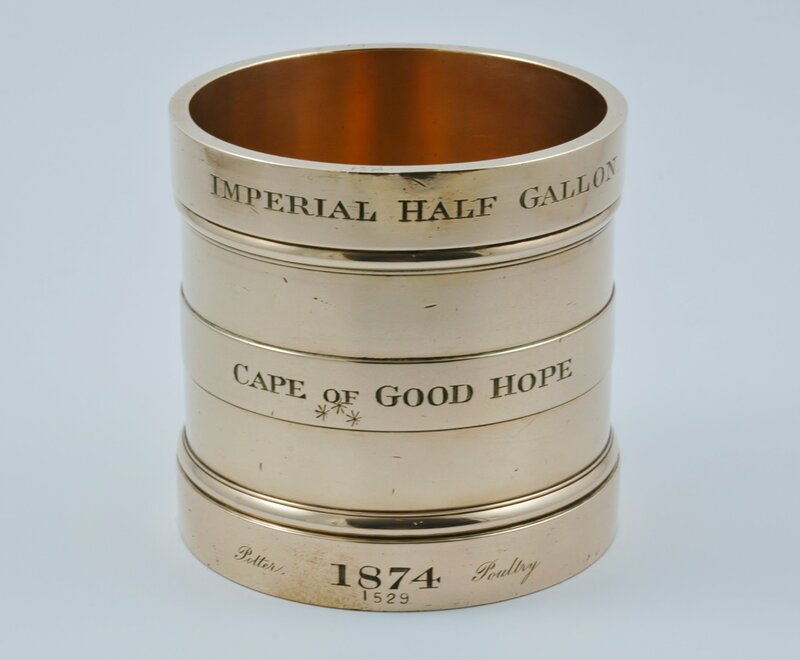 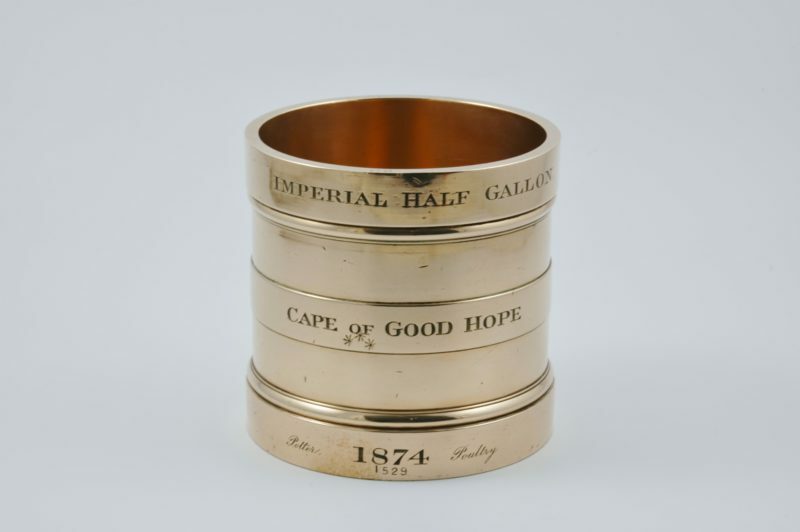 Rare English brass ‘Imperial Half Gallon’ Measure by Potter Poultry made for ‘The Cape Of Good Hope’ 1874. 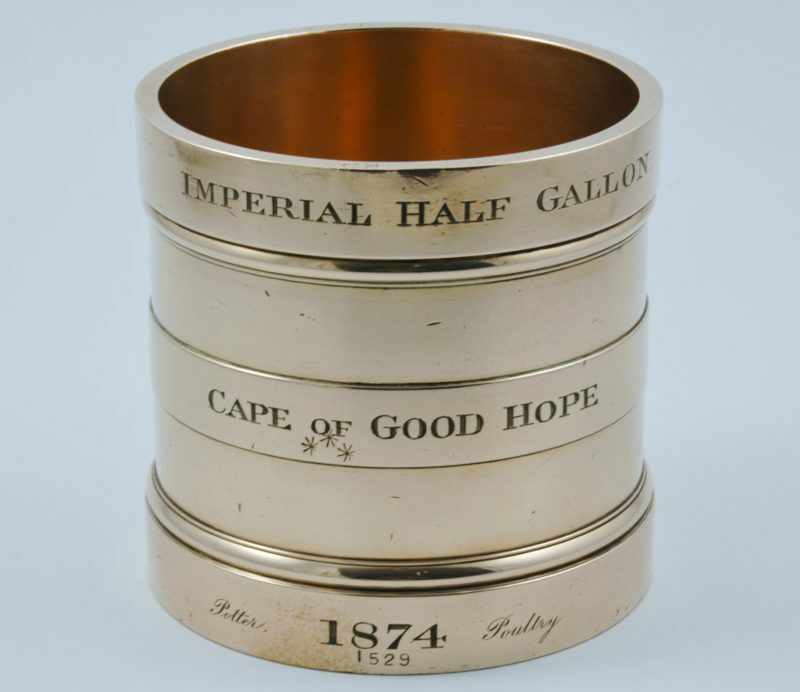 Currently one of the earliest recorded. 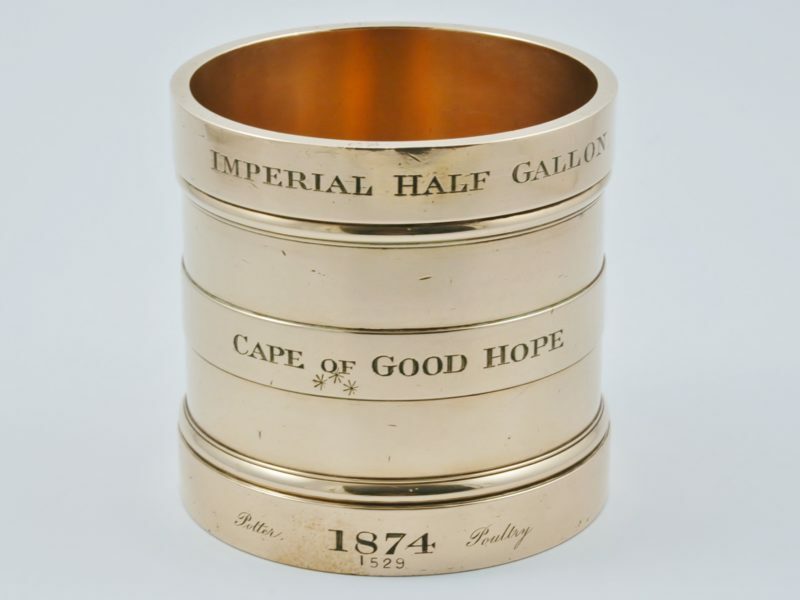 Dimensions: 15.5 cm high by 15.5 cm diameter.